Think you know your Young and the Restless actors? 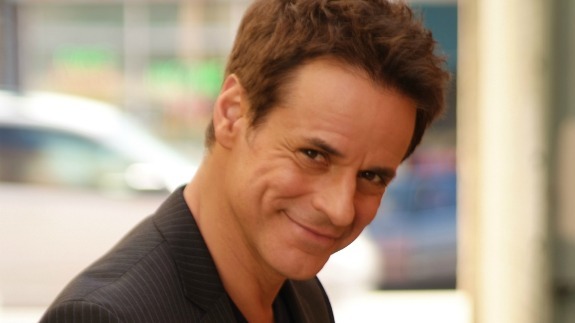 Here are some fun facts about one, the magnetic Christian LeBlanc, who has played intriguing and complex attorney Michael Baldwin since 1991. He’s a Virgo–LeBlanc birthday is August 25. LeBlanc was born in Ft. Bragg, North Carolina where his dad was stationed. He spent his formative years in the New Orleans area, a city to which he still feels close. LeBlanc attended Tulane University, majoring in pre-med and ancient history. He graduated with honors, too! He is the second oldest in a family of eight siblings. During a break from Y&R LeBlanc lent his academic prowess as a substitute teacher at an inner city elementary school in Los Angeles. LeBlanc can boast THREE Daytime Emmy wins for Outstanding Lead Actor on Y&R– in 2005, 2007, and 2009. Y&R isn’t his first foray into soaps. He started out on As the World Turns playing Kirk McColl in 1983. He returned to the show as his Y&R character, Michael Baldwin ion 2005. …And a Primetime One, Too! He’s guested on shows such as In the Heat of the Night, Diagnosis: Murder, and Perry Mason: The Case of the Killer Kiss. LeBlanc has French ancestry, and his family has roots in France dating back to the 17th century. Coincidentally, one of his ancestors was also an actor! LeBlanc’s pencil drawings are on display in galleries in Los Angeles, Washington, D.C., and New Orleans. It’s a hobby he’s had since childhood. Next Article Nancy Lee Grahn Talks Her Current Storyline and Much More!